Technology, Engineering and Math (STEM). and talented group of Atlanta’s school children. with grant-writing expertise to join our team. 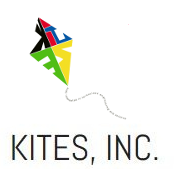 Festival and KITES Family Science Nights. No fundraising events are being planned at this time. Are you interested in inspiring the next generation of STEM professionals? An excellent way to help achieve this goal is to provide internships to underrepresented students. If you can help in this way, please contact us here. We are looking for researchers who are willing to make their labs accessible to Junior High and High School underrepresented students who are interested in science and engineering. We would like for all kids to have the opportunity to be exposed to the processes of scientific inquiry and discovery. If you truly believe that science is fascinating, consider opening your lab once a year to a child who’s eager to learn more about science and engineering. If you can help in this way, please contact us here.